As you can read in my story, I battled with and recovered from a serious case of anorexia. If you are struggling, please, do not hesitate to ask for help! 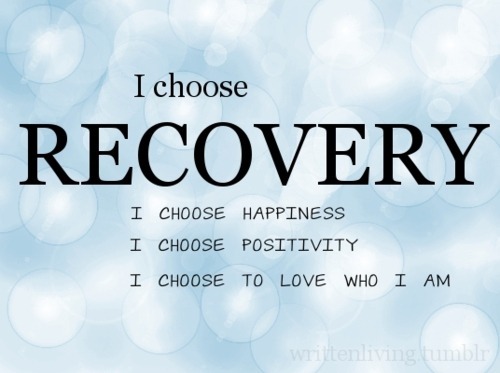 Recovery is one of the biggest challenges you can face, but I promise you, it will be worth it. Triple Digits – when I hit that milestone in my recovery. On Perfectionism – dealing with the reality that I can’t be perfect. Are Memoirs Helpful or Triggering? – the effect of ED memoirs in recovery. Breaking the Diet Rules – Rules are made to be broken, especially ED rules. ED Talk: The Last Fear Meal – Kind of feel like I can conquer the world now. WIAW: Holiday Guilt – dealing with feeling like you overeat at holiday events. Awesome Things: Recovery Edition – appreciating the little things about recovery. Guilt Free – What you eat does not need to come with a side of guilt. Fast Food and Weekend Rambles – nothing should be off limits, including the occasional fast food burger. freEDom: Why I Stopped Counting Calories (Again) – it’s just unnecessary. freEDom: Asking for Help: Where you find anorexia, you usually find perfectionism. It’s ok to ask for help when you need it. freEDom: Enjoy Christmas For All It’s Worth – Holidays are meant to be enjoyed, not stressing over what you should and shouldn’t be eating. freEDom: Sam 1; Scale 0 – the scale does not define self worth. freEDom: Societal Ed – trying to distinguish between what’s a ‘normal’ thought in a body-obsessed society, and what’s truly disordered. freEDom: Breaking Away from Perfectionist Tendencies – no one is perfect, so you shouldn’t try to be either. freEDom: Love Myself First – the story behind my recovery tattoo. Eating Disorders Awareness Week – showing support for the organization that helped me so much in my recovery. www.something-fishy.org– a wonderful support site. www.nationaleatingdisorders.org – The National Eating Disorders Association website. They also have a number for a toll-free crisis line you can call 24/7. www.nedic.ca – the National Eating Disorders Information Centre. A great source of information and support. www.eating-disorder-information.com – information and support. The site was started by a former ED patient, so she understands the more sensitive points of the disorder. Please remember that these are simply resources. If you are struggling, please, please tell someone and GET HELP. It’s not easy to turn to someone else, but it is always worth it.